The product comes packaged in a thin, tall transparent bottle that holds 200ml of product. 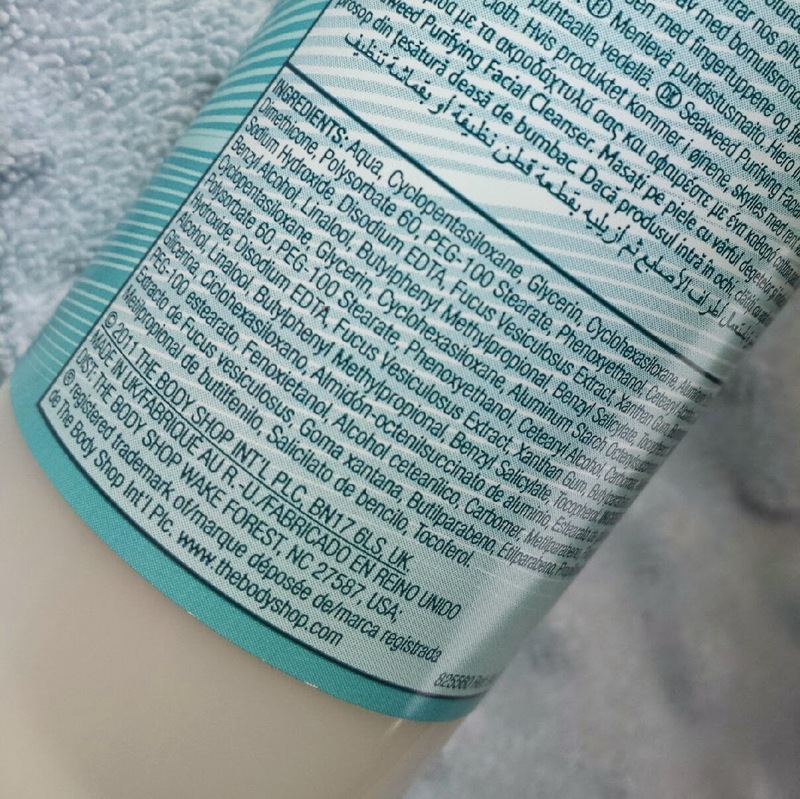 The bottle has a white and blue label around it with a flip cap lid for the cleanser to be dispensed. 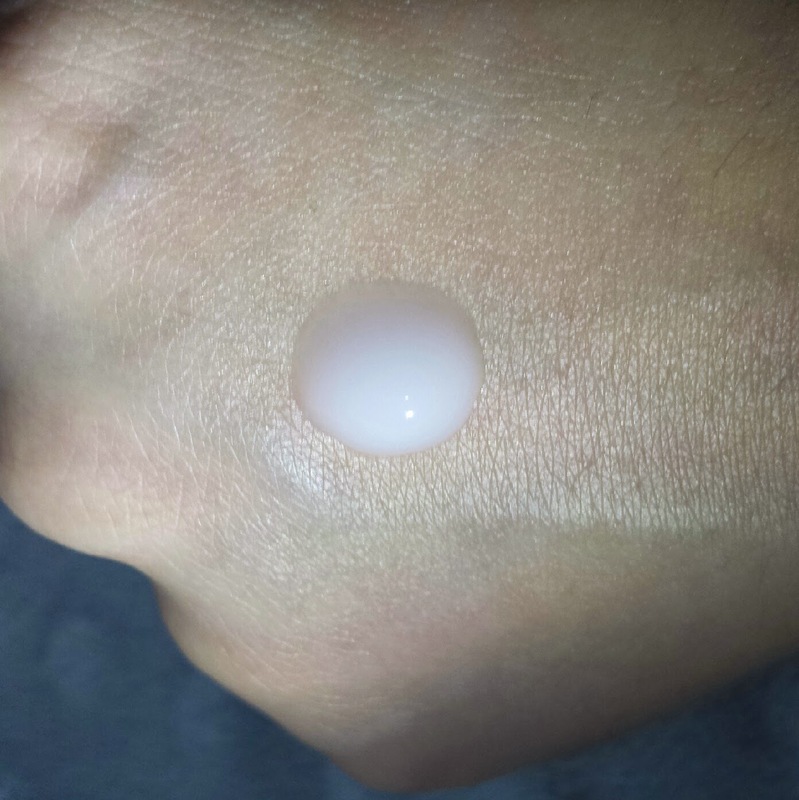 The cleanser itself is white and is quite a watery texture for a cream. To use you can either massage a small amount of product straight onto your face (on top of makeup or not) and wipe away with a cotton wool pad. Alternatively, you can apply the cleanser straight onto the cotton pad and gently wipe across your skin. I find both ways to work just as well but I do find that you sometimes need to use more when applying it to the cotton pad first. The cleanser can also remove eye makeup, but I think that the method of applying the cleanser to the cotton wool works best for this purpose or else it may sneak its way into your eyes! If all makeup hasn't been removed, simply repeat. This is definitely one of those cleansers that depends on how much makeup you are wearing as to how long you will find yourself using it each day and how much product. With some cleansers (such as Taaj Himalaya Micellar Water) I find that issue irrelevant. That cleanser removes so much in one go. This one takes a little longer. That doesn't mean that it is bad, though. Far from it! Even though it takes a little longer to remove makeup with this cleanser, I absolutely love the way that it leaves your skin looking and feeling. For people with oily skin, get ready to rejoice! Although advertised for normal to combination, oily skinned folk can achieve amazing results with this. Skin is left mattified but soft and smooth. It doesn't look dull but does look clean. It's almost enough to make you want to jump up and cheer! It is possible to banish that shine without looking dull! 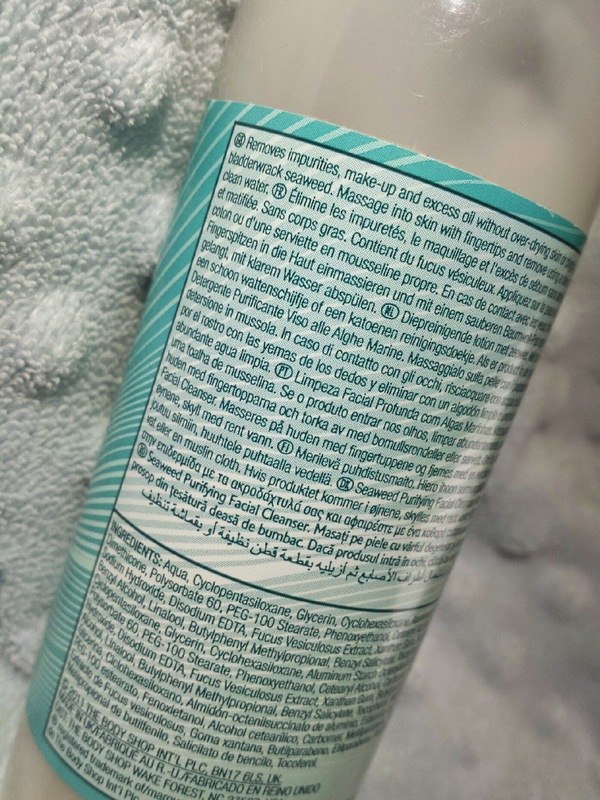 In addition, I have never found this cleanser to be too drying, which backs up the non-drying claim by The Body Shop. With that said, I'm not sure how you would fare if you have naturally drier skin (mine is very oily), but when feeling how soft my skin is after use I can't imagine that it would dry out your skin. My skin doesn't end up being dehydrated or completely stripped of its oils so doesn't produce more to overcompensate. I also find this cleanser to leave your skin feeling rather refreshed. Not to a point where your face is cool and tingly (like when using the Tea Tree range, also by Body Shop), but it just feels clean. In regards to removing eye makeup, I do sometimes find this product to take a while. Maybe it is a preference thing. I personally prefer a water based cleanser for removing eye makeup as I find it far easier and much, much faster. This for me takes a little longer to remove the makeup around my eyes, especially mascara! I tend to use this at night, and when I wake up in the morning my face still feels matte and not majorly oily. Admittedly, I also use Vichy Normaderm Night Detox which also helps to keep oil in check, but the combination is pretty great. You could always apply a small amount after using a foaming face wash to provide your skin with that matte effect! With that said, you can also use a foaming face wash after using this cleanser. 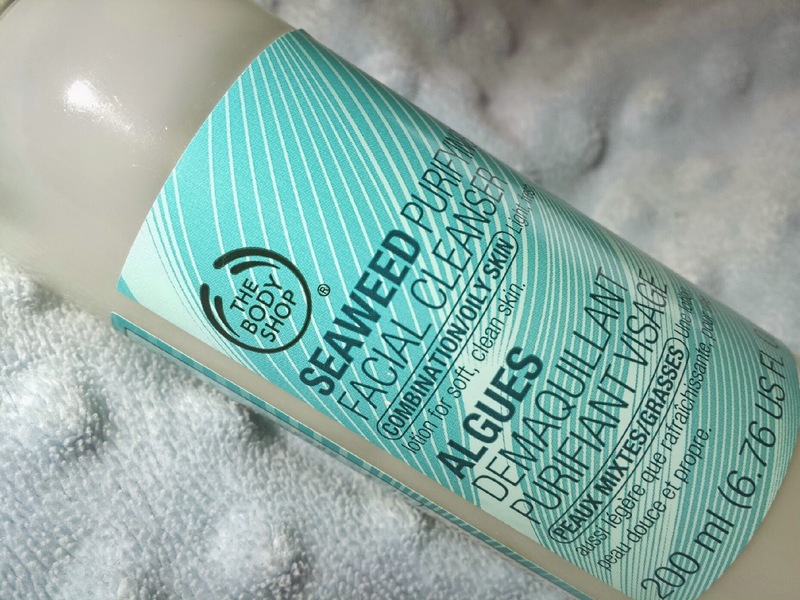 The Seaweed cleanser can be used as a makeup remover and then followed up with a face wash to provide an extra clean result. You may not find that necessary though. Again, it is all down to preference! 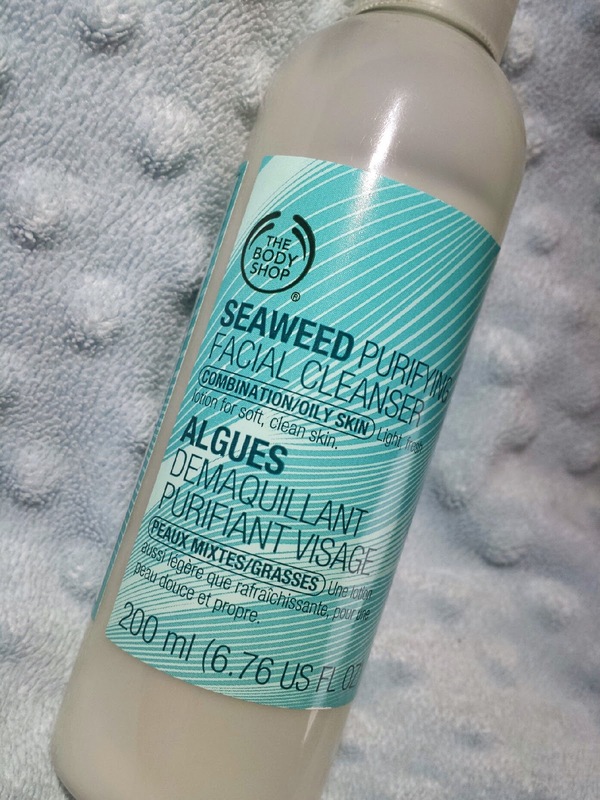 If you are interested in buying The Body Shop's Seaweed Purifying Facial Cleanser, you can pick up a bottle for £8.50 for 200ml from The Body Shop. 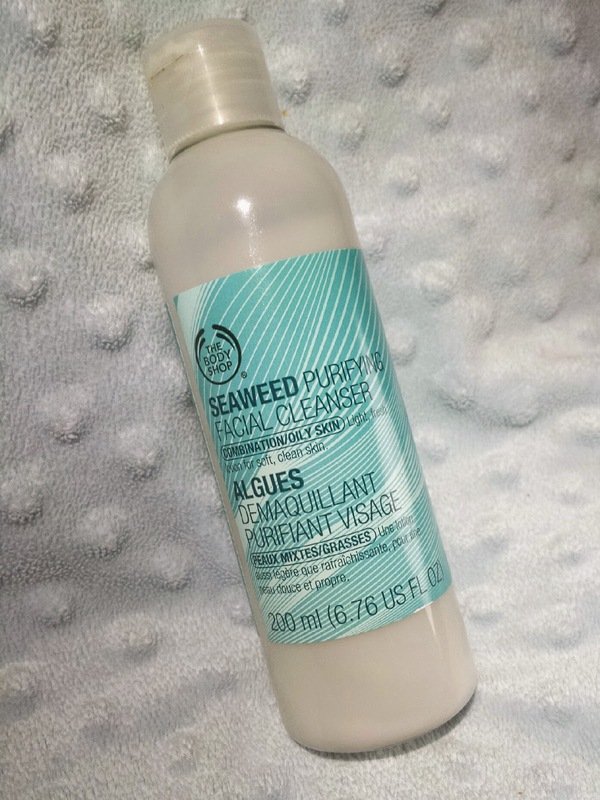 Have you tried the Seaweed Purifying Facial Cleanser? What is your favourite cleanser?